Power drills can be quite useful, there’s no denying – they can make big or small holes, can drive in different types of bolts or screws, mix materials such as concrete, paint, or grout, sand different surfaces, straighten bent wires, remove rust and much more. 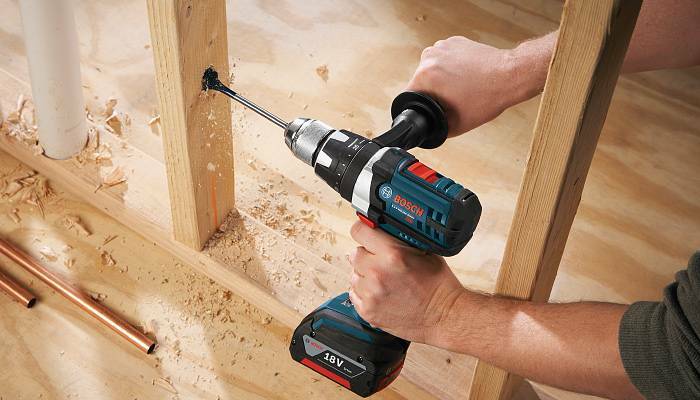 Simply put, having a power drill in your toolkit or workshop is of the essence. Of course, when shopping for a power drill, it is best that you choose one that is best suited for the kind of tasks that you most often perform. The two main types you will come across when looking for a power drill for sale are cordless and corded power drills. In today’s blog post we will talk into details about their pros and cons. The mere fact that this type of a power drill does not have a cord is an enormous advantage. This means you will not need to determine your spot of operation based on the fact whether there is a nearby electrical outlet or not. You can take your power drill wherever you may need it – out to the backyard or lend it to your neighbour. Furthermore, being cordless also makes this power drill type a lot easier to maneuver into tight spots. For instance, if you need to drill something under your sink, it would be a lot easier to do it with a cordless drill than with a corded one. Also, it takes up less storage space as it does not have a cord which will need to be stored. This can make a big difference in a garage workshop or in a toolbox. Cordless power drills normally use universal batteries, so when looking for a power drill for sale, know that you can use its batteries with other power tools as well. Less batteries lying around also means less clutter in your work space or toolbox. Practical and convenient. There seems to be one thing that some people perceive as a disadvantage of power drills – the fact that you need to have at least two batteries around when you operate with it. Once the first battery is empty, you will need to insert in it another one. However, the good news is that nowadays most cordless power drills come with two batteries, so make sure to check this before you buy the drill. Also, due to the fact that they have a battery inside them, they are a bit heavier. Men & Socks: Here’s Why Bamboo Rocks!